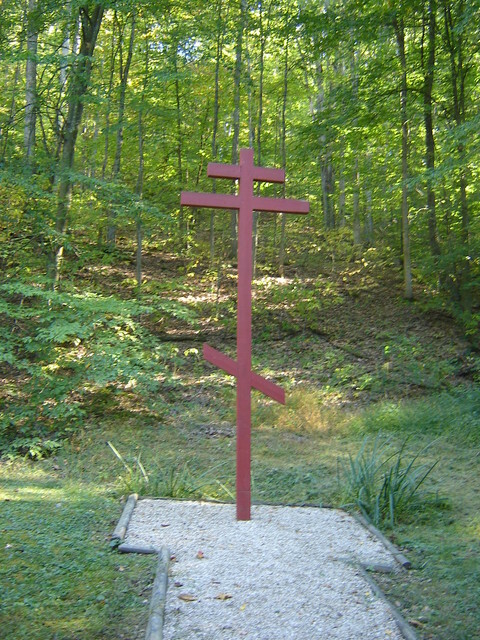 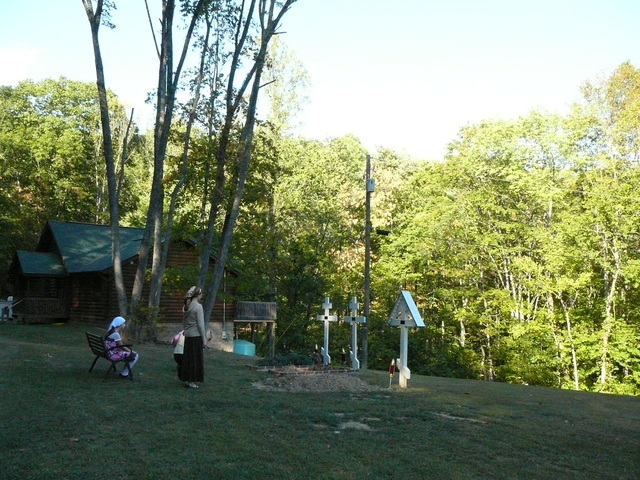 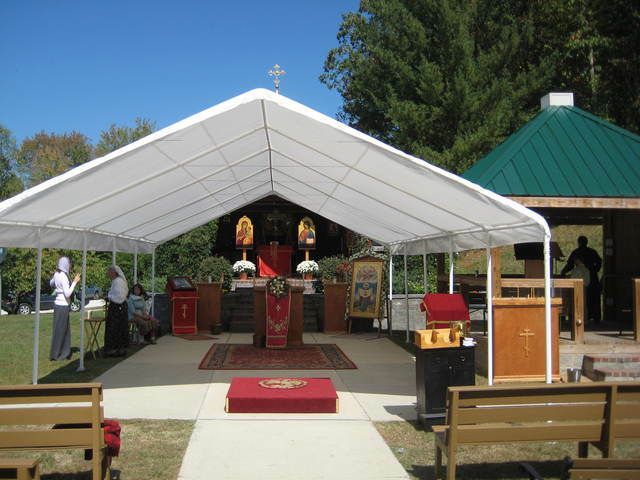 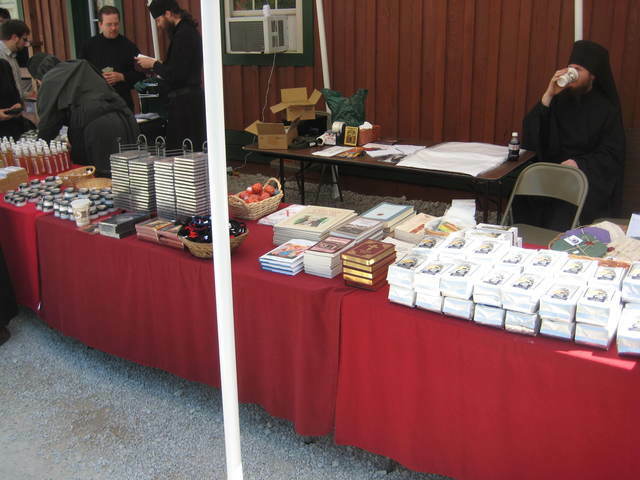 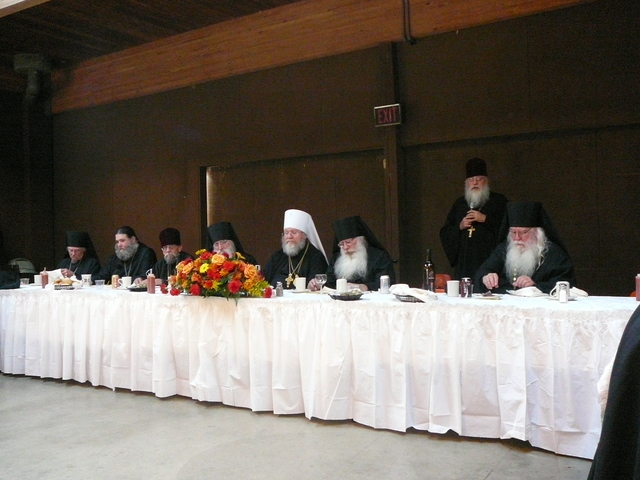 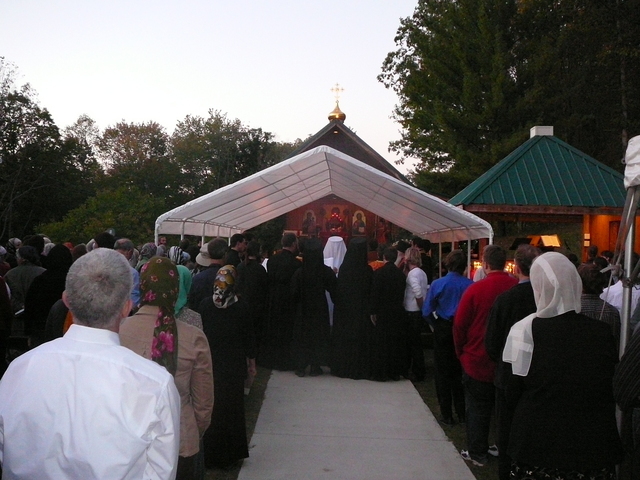 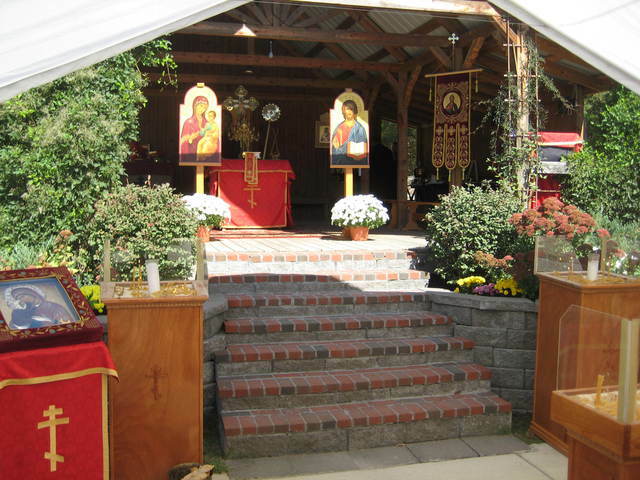 On the weekend of October 4-5, a large group of pilgrims from St. Sergius Cathedral traveled to Holy Cross Monastery in Wayne, West Virginia, for the Annual Pilgrimage Weekend at the Monastery. 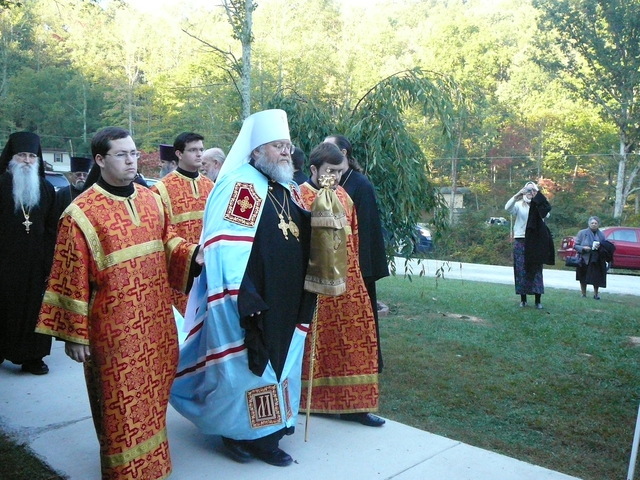 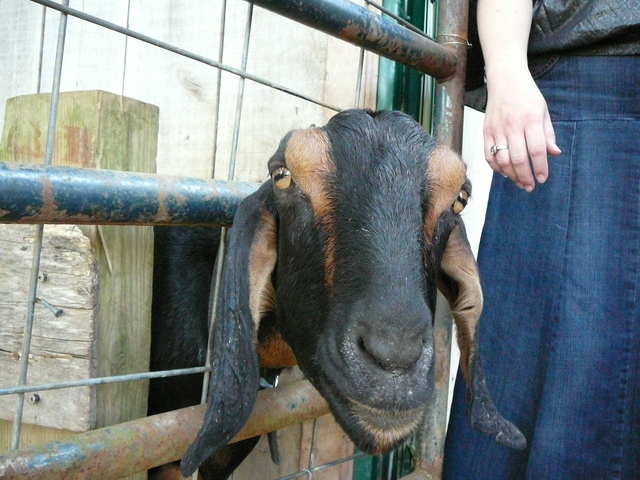 The Dean of the Cathedral, Fr. 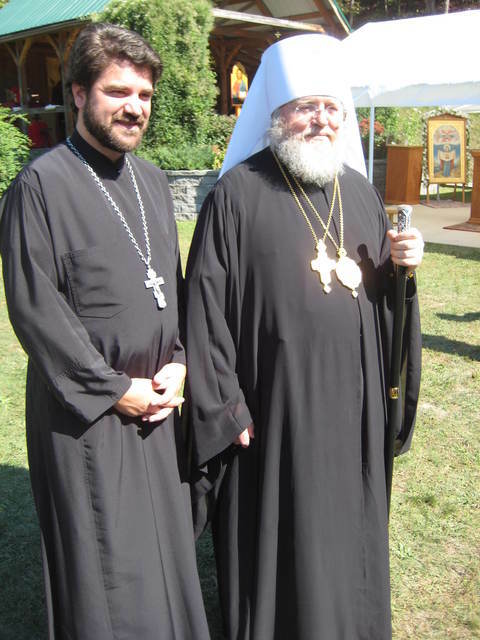 Ilia Marzev, participated in the services along with a great number of visiting Clergy. 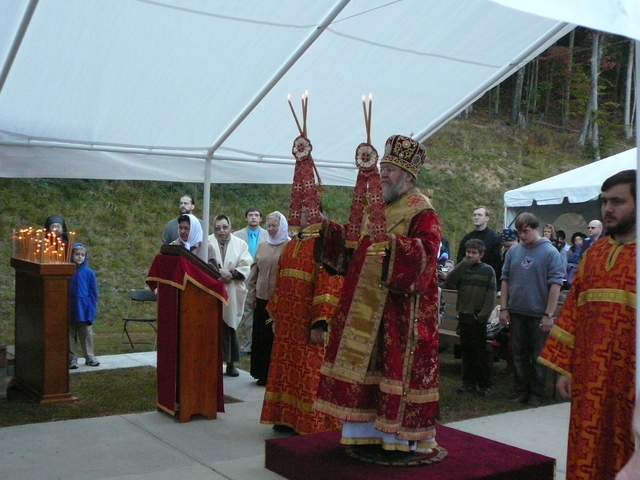 The services were led by Metropolitan Hilarion. 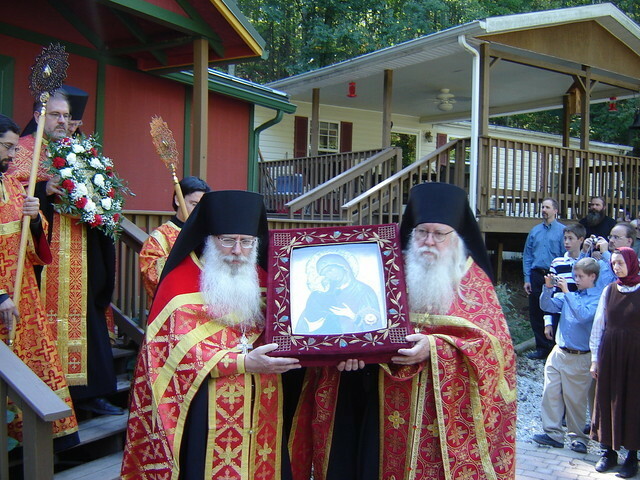 Readers Alexander Petrovsky and Andrew Rodzianko of the Cathedral sang with the Monastery choir. 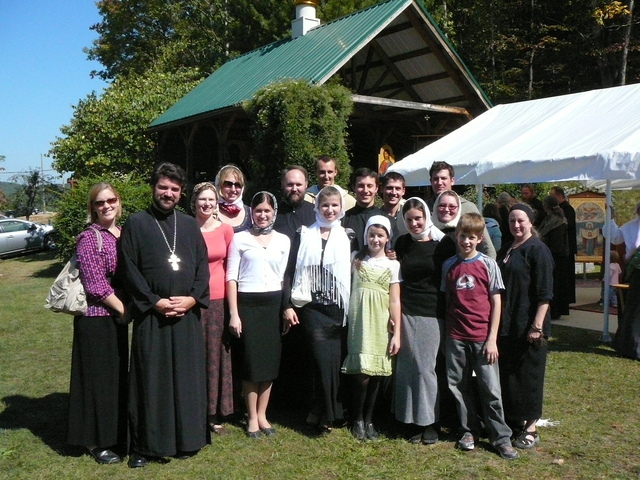 The youth of the Cathedral especially enjoyed the mountainous surroundings of the Monastery and the peaceful outdoor services.